Anheuser-Busch is guzzling up another small brewery. Anheuser-Busch InBev (AHBIF) announced it has signed a deal to buy Oregon craft brewer 10 Barrel Brewing Co. The purchase is part of Anheuser-Busch's ongoing effort to get a foothold in the small but fast-growing market for craft beer. This is at least the second small brewery Anheuser-Busch has bought this year. In February, it snapped up Blue Point in Patchogue, N.Y., which made 60,000 barrels last year, including its flagship brand Toasted Lager. Anheuser-Busch also bought the Chicago craft brewer Goose Island in 2011. The brewers didn't give a purchase price for 10 Barrel, but said the small brewery's leadership will not change. 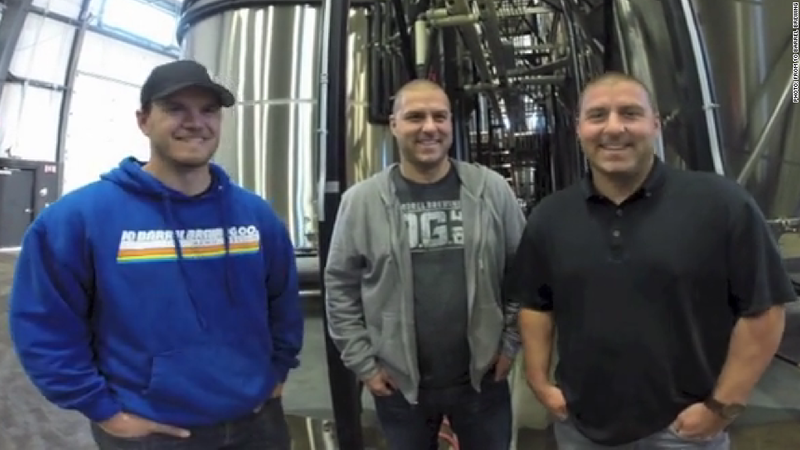 These guys just sold their craft brewery to Anheuser-Busch. "We are excited to stay focused on brewing cool beers, get our beers in more hands, and make the most of the operation and distribution expertise of Anheuser-Busch," said 10 Barrel's Jeremy Cox. Cox, his brother Chris, and Garrett Wales co-founded the brewery in 2006. Based in Bend, Ore., 10 Barrel's biggest brand is an India pale ale called Apocalypse IPA, which accounts for half of the company's volume. The company expects to produce 40,000 barrels this year. 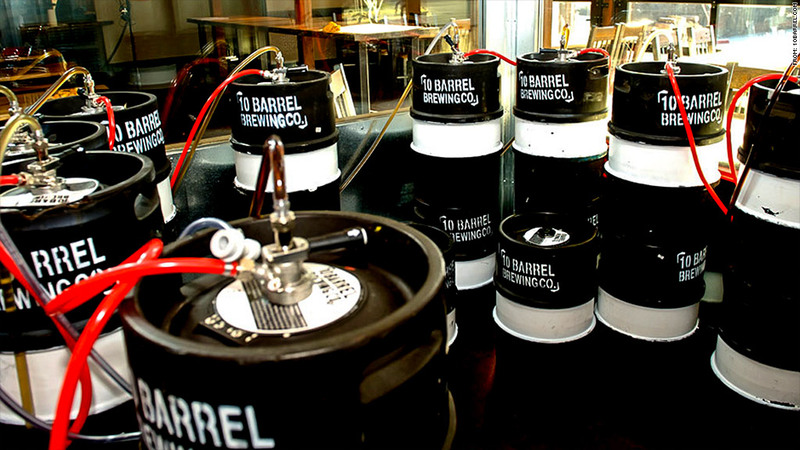 10 Barrel also has pubs in Bend and Boise, Idaho, and plans to open one in Portland next year. The motive of Anheuser-Busch is obvious, said Benj Steinman, editor of Beer Marketer's Insights. He said the beer industry has been losing market share to wine and spirits, and Big Beer needs something to pick up the speed. "Each of the last four years the industry has actually shrunk a little bit, overall, but craft has been the darling," he said. Overall beer sales dipped nearly 2% last year, but craft beer sales surged more than 17%, according to the Brewers Association, an industry group. Steinman said well-known brands like Budweiser have stagnated compared to the relatively small but rapidly expanding craft beer market, which rose to 7.8% of the beer market last year, compared to 4.2% in 2008. He said that craft brewers have experienced double-digit volume growth in the last several years.